OHSWEKEN, Ont. 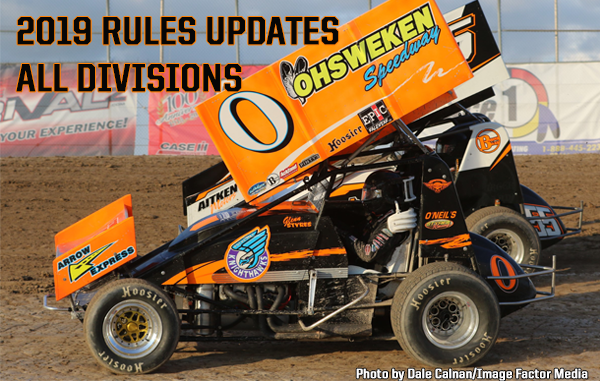 (January 29, 2019) – Ohsweken Speedway officials are pleased to announce the following technical and procedural rules updates. The rule updates have been applied following consultation with drivers and car owners at the rules meetings held last December. 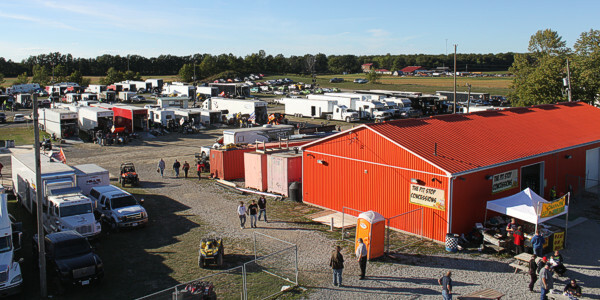 Thunder Stock and Mini Stock rule updates have been applied as a result of the Ontario Dirt Competition Committee (ODCC) meetings. A copy of the full Ohsweken Speedway rule book for each division can be found here. 5.1 – Minimum weight is 1500 lbs. (with driver; no fuel added) after the race. 38.18 – Safety Bars Are Highly Recommended in 2019 and will be mandatory in 2020. 1.9 – The use of anti-spill valves on the carburetor vent tubes and valve cover vent tubes is MANDATORY in the interest of preventing fires during a roll over. 16.1 – Minimum weight is 1600 lbs. (with driver; no fuel added) after the race. 16.6 – Any Bolted on Weight must be painted white, securely mounted, and approved by tech inspectors. 8.4 – Floor must be stock or replaced with a minimum 20 gauge steel. Right side may be “tin kitted” from the center of the drive shaft tunnel and raised even with the top door bar on the passenger door. Tin Kit must be made of sheet steel minimum 20 gauge. Tin kit must remain one height from the dash back to the rear fire wall. 8.5 – Rear firewall must be completely sealed off from drivers compartment minimum 20 gauge steel must maintain approximately same angle as stock fire wall. 20.5 – Steel Single Piston Calipers Only. Must be same size piston both sides. One residual pressure valve allowed in the rear brake line. No other restrictor valves, control mechanisms that vary the pressure front to back or side to side. 32.1 – Stock Mount Non Adjustable Non rebuildable Steel Unaltered Shocks Only. 37.9 – Plastic Wheel Covers are allowed. NO DZUS TAB or expandable mounting bead lock covers allowed. Must be bolted on using welded tabs. 2.13.1 – Engines 200 psi – 210 psi will add 100 lbs. minimum weight. Cannot exceed 210 psi. 211psi and over cannot compete. No exceptions.